As technology enhances how endurance athletes train and prepare for events, TrainingPeaks must adapt and evolve as the technology landscape changes. When TrainingPeaks launched 17 years ago, very few athletes made an effort to save their workouts, let alone took the additional time to upload their data to our web application. With more than 40 million workout files uploaded last year alone, it’s clear that times have changed. The use of GPS sports watches and even our phones for uploading data to the cloud is now seamless and has become second nature for most athletes. TrainingPeaks was one of the first fitness platforms to allow syncing of athlete data with third-party applications and devices. Our initial strategy (circa 2005) was to have an open API (Application Programming Interface), which didn’t even require registration and allowed any developer to leverage data on behalf of athletes. As the usage of our API grew, there were adverse effects of this decision as we had no control over who was accessing our API, or how much data they were reading or writing. Over time, we realized that we needed to modernize our API, which led to the decision to start over using current best practices. We began this work more than two years ago, and have been working closely with our partners to switch over to our new API. For most of you, this work has been transparent, but we realize that for some of you this has been disruptive. Most applications that were using our API provided value to our coaches and athletes, while some did not and were not given access to our new API. Looking forward we will continue to work with both existing and new partners to expand the capabilities of our API. We are not creating a closed system, instead we are being selective in our partnerships. This is to ensure a value-driven ecosystem of high-quality applications that provide additional value to athlete training data. We have gained great traction with this new approach as witnessed by partners such as Garmin, Polar, MyFitnessPal, HRV4Training, FitnessSyncer, Wahoo, Zwift and others, and we have many new projects in the works. The TrainingPeaks API is currently available for approved developers only. 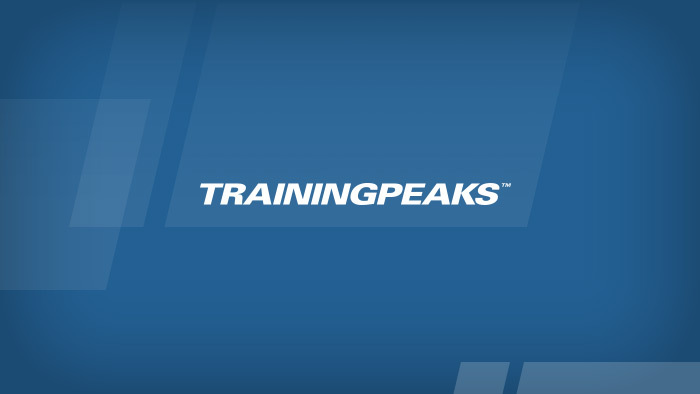 If you are a developer of a commercial fitness application or fitness device and would like access to the TrainingPeaks API please submit information about your company and what you would like to achieve with the TrainingPeaks API here: http://api.trainingpeaks.com/request-access. At this time access to the API is not available for personal use. We understand that this new approach has caused some disruption for many developers, but we believe this will provide a stronger ecosystem for our customers and partners moving forward.